BEIRUT — Lebanon’s Christian and Muslim religious leaders, meeting with the president of Switzerland, appealed to the international community to work toward peace in the region and to ensure the “dignified” return of refugees to their homelands. 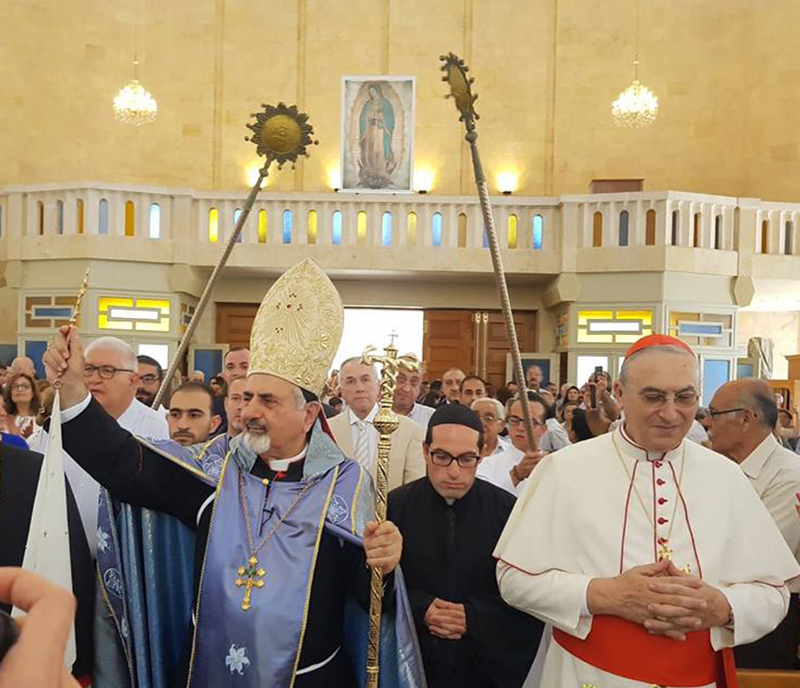 Cardinal Bechara Rai, patriarch of Maronite Catholics, hosted Swiss President Alain Berset at Diman, the patriarchal summer residence in northern Lebanon Aug. 28. Those attending included Melkite Patriarch Joseph Absi; Syriac Catholic Patriarch Ignatius Joseph III Younan; Syriac Orthodox Patriarch Ignatius Aphrem II; Greek Orthodox Patriarch John X — all of whom were born in Syria — Catholicos Aram I of the Great House of Cilicia for the Armenian Orthodox Church; Archbishop Joseph Spiteri, papal nuncio to Lebanon; Mohammad Sammak, secretary general of Lebanon’s Christian-Muslim Committee for Dialogue; Muslim and Druze representatives. Lebanon, a country of about 4 million, is host to more than 1 million refugees from neighboring war-torn Syria. In addition, the country continues to host thousands of Iraqi Christians who were uprooted from their homes in Iraq’s Ninevah Plain by the Islamic State organization, and about 500,000 Palestinian refugees, stemming from the Palestinian exodus during the 1948 Arab-Israeli war.